Here is what you will find in MailUp 8.9, the newest version of our digital marketing platform for email and SMS marketing. 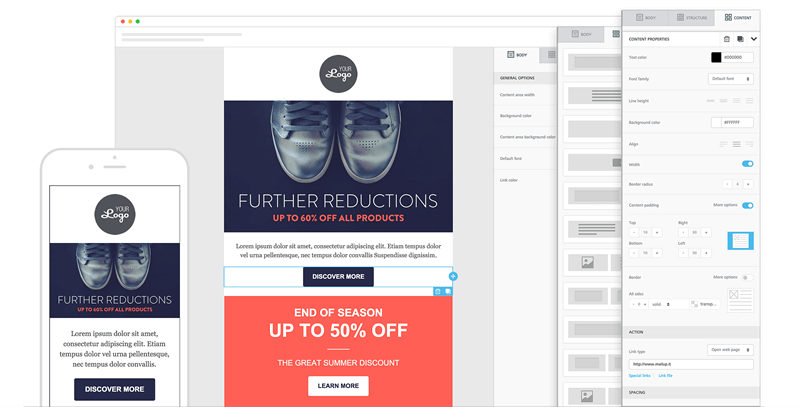 We are very excited to introduce to MailUp users BEE v2, the newest version of our drag-and-drop email editor. As you probably know, the name BEE comes from our ambitious goal of building the Best Email Editor available to digital marketers. It’s a goal, a work in progress, a labor of (email) love: after receiving feedback from hundreds of thousands of users of beefree.io and thousands of MailUp customers, we’re inching closer to our goal with this new version. BEE v2 is a complete rebuild of our editor: it retains great ease of use while providing much more design flexibility, better mobile device responsiveness, and a vast array of new features. Learn more about what’s new in BEE v2. Months of work went into ensuring that existing messages and templates would convert correctly to the new editor’s format (BEE v2 uses a completely new message structure, which is what allows for the much greater design flexibility that it provides). 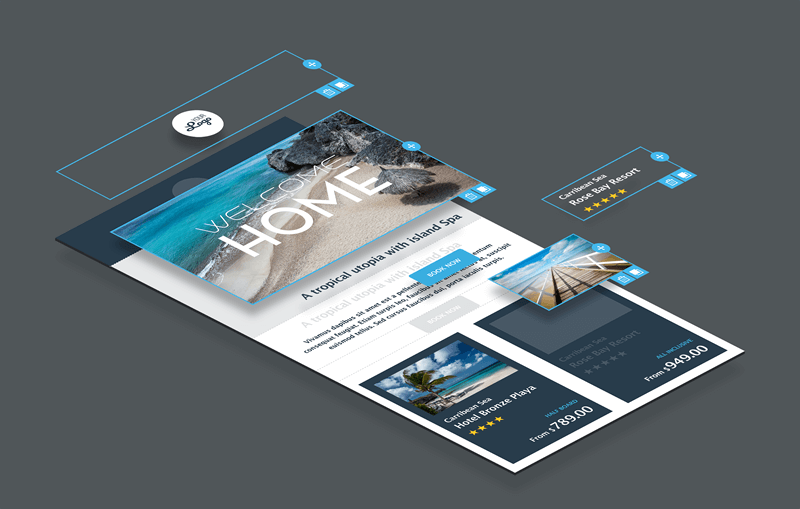 Our development team wrote and re-wrote the software that performs the conversion in order to minimize any issues, and got to a point where over 99% of templates were successfully converted. You will find more details on this – and on how to handle possible conversion issues – in documentation that you can access directly from your MailUp admin console. You can now easily create a copy of an automation task, such as an automated email. This helps you quickly created similar triggered messages, for example. Think of a series of triggered emails that all share similar settings such as blackout dates, send time, segmentation filters, and more. It used to be that you could only export all recipients or a group of them. With MailUp 8.9, exporting a targeted set of recipients becomes a lot easier. You can now do an advanced search leveraging all the segmentation features available to you (groups, filters, recipient fields, etc.) and then export the results with just a couple of clicks. Simply click on Export in the Recipient management section at the bottom of the page. On the next screen, select the recipient fields that you wish to export, choose a file name, and start the export process. You can now do something else while MailUp takes care of creating the export file. In a few moments (or a few minutes in the case of a large file) you will find it in the list of files ready for download under Recipients > Export > Download. If you are used to sending an email campaign to various groups for review or approval, you will appreciate the ability to flag a group of subscribers as “Test” and then quickly find it in the email campaign setup wizard. Are you sending text messages with MailUp? You can now set a handy email alert that will be sent when your credit balance falls below a certain threshold that you indicate. 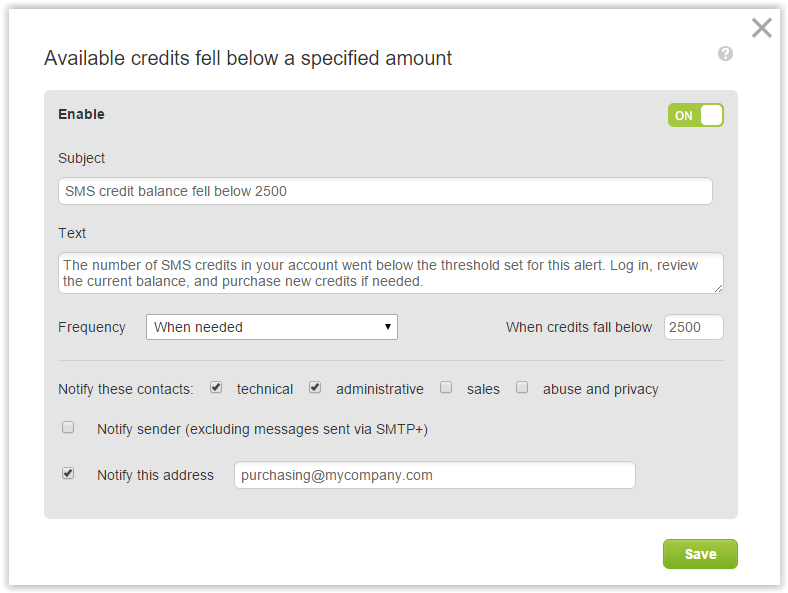 That way you can intervene and make sure that your SMS campaigns don’t stop because of credits ran out. If you have any questions about this latest MailUp release, feel free to ask in the comments below. Your MailUp account will automatically be converted to v8.9 over the next couple of weeks.